Good nutrition is crucial for older adults and seniors who are trying to stay healthy or recover from illness. If you’re a caregiver, you may feel overwhelmed handling daily tasks on behalf of your loved one. And when it comes to mealtimes, you may be running out of ideas too. Did you know your sheet pan can be used to create a ton of delicious meals? You’ve probably used your sheet pan to bake cookies and the odd frozen pizza. But these handy trays are so much more useful than that. We love this shrimp boil recipe from Damn Delicious. Shrimp boils are known to be messy, but Chungah Rhee’s version is anything but. All you need is your sheet pan and oven. Shrimp, smoked sausage, corn, and yellow potatoes are seasoned, then cooked for just 30 minutes. You’ll end up with a super delicious meal and minimal cleanup. It’s a win-win for everyone! This simple chili recipe from Betty Crocker isn’t just tasty. All the ingredients can be tossed into a slow cooker and forgotten about until dinner. We love this recipe because it includes chunky salsa, giving it that extra flavor. Chopped green chilies will give it a little kick, but you can leave them out if your loved one is sensitive to spice. You can also switch up the taste by substituting pinto beans for black. And be sure to use extra lean ground beef so you can keep cholesterol levels in check. Don’t let the name fool you. You don’t have to be poor to enjoy this easy lasagna recipe, but it certainly is the best way to prepare a meal on the cheap! Cream cheese and cottage cheese are mixed in with the pasta noodles, all in the same pot. Although you can use a homemade sauce, a cheap store-bought version works equally well. Everything is then thrown into a baking pan with shredded cheese on top. All it needs is 30 minutes in the oven, and you’ve got a meal that’s perfect for lunch or dinner. This recipe also works well as a freezer meal. Simply mix all the ingredients and throw them into a freezer bag. The batch will be ready and waiting when you’re in a pinch! If you’re caring for someone who doesn’t eat meat, you can make sure they’re still getting enough protein with this vegetarian meal from the Food Network. You’ll be happy to know it’s also high in calcium, iron and Vitamin C.
Beans, eggs kale and cheese are thrown together in this tasty, nutrient-dense stew. When preparing, be sure to use a low-sodium broth and soy sauce. Although this meatless dish may not seem filling, the addition of whole grain bread on the side makes it quite hearty. This easy salad is great for lunch but works well for dinner too. Spinach is an excellent source of calcium. And your loved one will get an extra boost of protein from the healthy addition of chicken. Sweet strawberries, red onion, and avocado may seem like an odd mix, but their flavors complement nicely when tossed together. We also love that this simple balsamic dressing doubles up as a marinade for the juicy chicken! As a finishing touch, feta and almonds are sprinkled on top before serving. This hearty stew is packed with flavor, and the paprika gives it a vibrant color and some added spice. Just be sure to use high-quality beef so it’s tender enough for elderly teeth. The best part about this meal is that there’s minimal clean-up since it can be made in one pot. Everything is simmered slowly on the stove top for about 1.5 to 2 hours. You’ll know the beef is ready when it falls apart with a fork. Rich and filling, this satisfying meal will certainly bring warmth and comfort to your loved ones. One of the best ways to make cooking less challenging is to prepare meals in advance. Be on the lookout for freezer meals, one-pot dishes, and crock pot recipes. These things can cut down on cooking time, so you can spend more precious hours with your loved one instead. 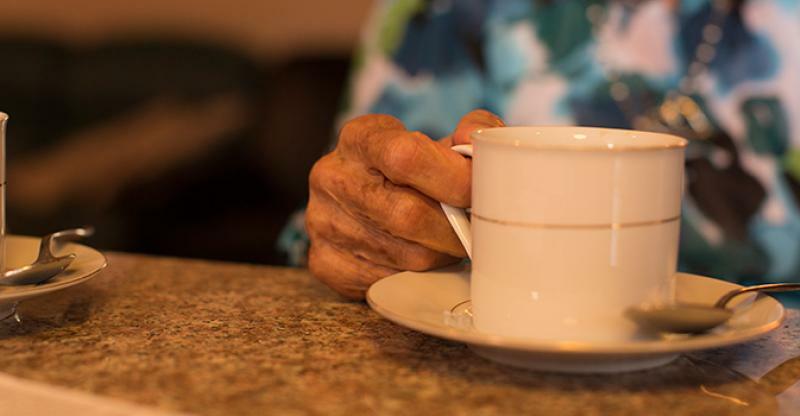 If you’re struggling to find time to prepare healthy meals for your loved one, there are several food services for the elderly that can help, too.